Struggling hockey players often try a common and counter-productive method to get back on track. The common response is to try to do too much. How can you do TOO MUCH you ask? Instead of trusting your ability to perform, you attempt to force play or try to make something happen rather than anticipating the action on the ice to make the correct play. This is a negative mentality that places increasingly higher levels of stress on you to make perfect plays. With so much pressure on you to perform, your body initiates a stress response causing your muscles to tighten, respiration to increase and focus to become too narrow. These physiological changes interfere with your ability to perform relaxed, fluid motions. In other words, you cannot play your best when stress levels are too high. When you try to do too much, you often fail to execute the routine plays that you regularly make and you become mistake-ridden especially during critical points in the game. If you think back to a game where you made an unusual amount of mistakes, you most likely will see stress as the culprit brought on by a negative mindset. Arizona Coyotes goalie Mike Smith learned the harsh reality of trying to do too much. Smith has been a steady goaltender but his play fell off last year as he struggled during stretches and battled injury. Smith suffered a core muscle injury that required surgery and caused him to miss a significant amount of time… And there is no denying that there is a mental stress component to injury. Now that a new season is here, Smith decided a new mindset was in order. Smith’s new mindset is entrenched in keeping things simple, staying relaxed and playing within his capability. A relaxed mind equals a relaxed body. When you play relaxed, your body is primed for optimal play. When you are relaxed, you can play at your peak for longer periods of time… You are able to switch your focus when necessary… And have a clear, uncluttered mind for better decision making. As you already know, being primed for optimal performance is in your control if you take conscious control of your mindset. First, you need to know your strengths and weaknesses. You will always perform better when you focus on your strengths. Players who try to do too much tend to focus outside of their strengths… That is when mistakes happen. If you create a strength-based game strategy, you are more likely to perform at your peak at crucial moments in the game. 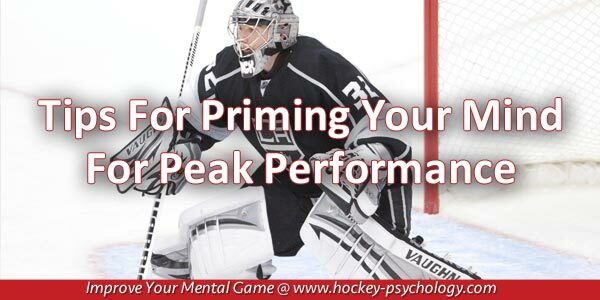 Click here to learn all of my secrets for mental preparation! Do you have trouble sleeping the night before competition, cant eat before you compete, or are so anxious and tense stepping onto the field, court, course, or track that you are already tired or spent before competition starts? The Relaxed Athlete CD and workbook program is a 14-day plan for optimal mental preparation. This program is ideal for any athlete that wants to overcome pregame anxiety, worry, or excess tension and learn to perform with poise.